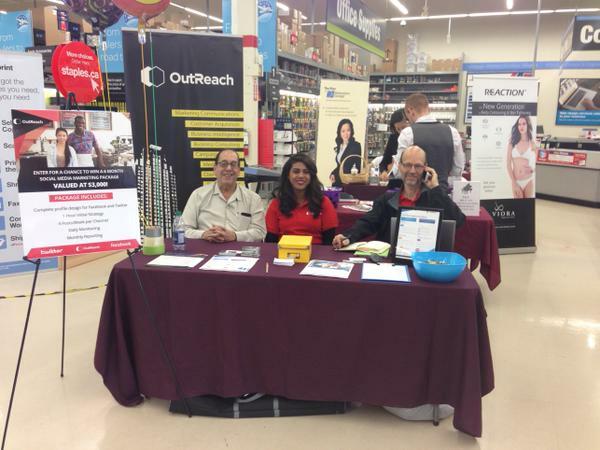 The OutReach team had a blast celebrating Small Business Week at Staples Canada. We had the pleasure of connecting with many great small businesses located in the Richmond Hill region, as varied as an optometric clinic, a music and arts school, a martial arts school and many others. OutReach also hosted a fun Social Media Marketing Raffle which included 6 months of social media a ($3,000) value. We will be announcing our winner shortly, please check back in to see the results!